Start your new year off the right way – by saving money. 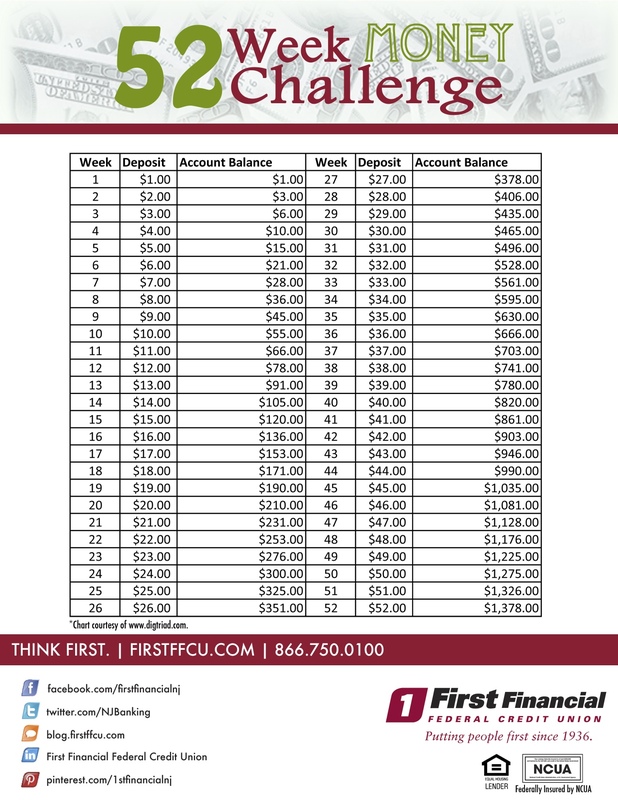 Take the 52 week money challenge below, and you’re guaranteed to save almost $1,400 by the start of the new year. Ready, set, go! This entry was posted in Saving Money by VP of Marketing and Business Development Jessica. Bookmark the permalink.